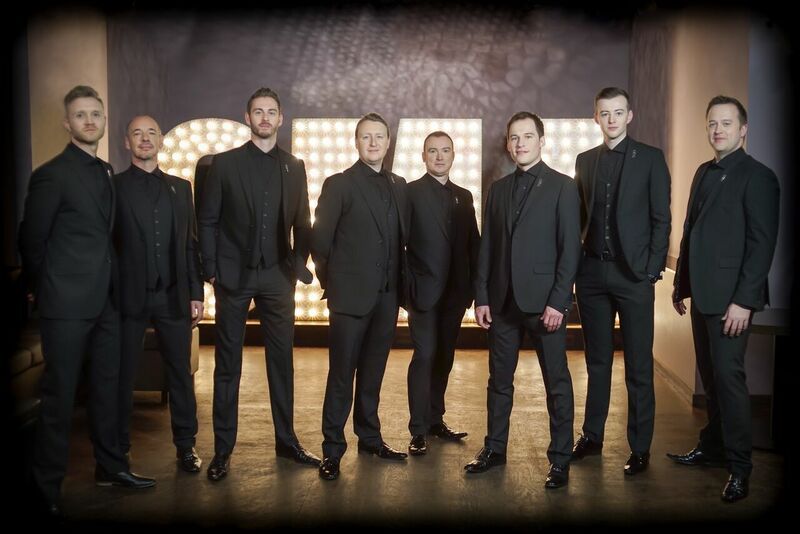 Classical Brit Award winning Choir Only Men Aloud will start their Christmas tour in Cardiff St Davids Hall this Friday 1st December and Llandudno Venue Cymru the following night Saturday 2nd December before finishing the Welsh leg of their tour in Newtown Theatre Hafren on the 9th December. The Welsh male vocal group will embark on these dates to get audiences into the festive spirit across the country. Natasha Cook Jenkins will join the tour as the group’s special guest. Only Men Aloud have been delighting audiences around the world injecting new life and blood into the Welsh Male Voice Choir tradition. The men have become well known for their strong vocals and their varied and eclectic repertoire. Their Christmas concerts will feature some of the most well known Christmas songs ever written, all given the Only Men Aloud treatment! Natasha was discovered by David Bowie’s producer Tony Visconti who took the young the Glaswegian girl under his wing in the Sky Arts TV programme: Unsigned Heroes. The busking video went on to break the internet with over 1.25m views in just two weeks! Over the years, the hugely popular group has built up a strong fan base across the country and were honoured to be asked to sing at the London 2012 Opening Ceremony at the very moment the Olympic Flame was lit.This performance was broadcast to an estimated global TV audience of 900 million people. OMA have given many memorable performances, with numerous appearances at outdoor festivals and proms. They have performed twice at The Royal Variety Performance, been seen on numerous television programmes and are familiar faces at sporting events; they sang at the opening ceremony of the Ryder Cup in 2010 and the Ashes in 2015. They undertook a highly successful tour of the USA including performances at the famous Ravinia Festival in Chicago and the North American Festival of Wales in Minneapolis. OMA have now recorded five studio albums and plans are taking place for a sixth in 2018. They continue their busy touring and concert schedule, right across the UK and beyond. Recent engagements have included performing at The UEFA Champions League Final Celebrations in Cardiff, and a trip to Mumbai, India for the group’s first appearance in Asia. Ticket information can be found on onlymenaloud.com or directly from the venues.